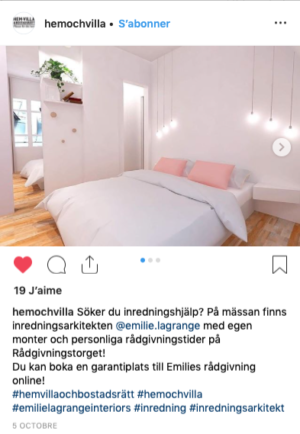 Few weeks ago, I made my official entrance on the Swedish market as french interior architect at the fair “Hem, Villa & Bostadsrätt” in Stockholm, Sweden. During 4 days, I had the opportunity to exhibit my work, get in touch with private individuals looking for inspiration and discover companies and potential partners. Flashback on the event. “Hem, Villa & Bostadsrätt”, which can be translated from swedish as “Home, House and Apartment”, is the biggest event for renovation and construction of private residential projects in Sweden. Welcoming between 30 000 and 40 000 visitors every year since 1991, it’s the perfect place to find inspiration, products and advices. Between the 11th and 14th october 2018, 250+ companies showed their products and shared their expertise with the public. Mostly Swedish, some companies also came from Finland, Norway, Denmark or Lithuania. First and only interior architect to exhibit at “Hem, Villa & Bostadsrätt”, I brought design creativity and the French touch to the event. 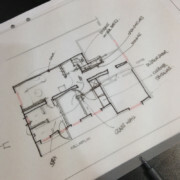 "Are you looking for help with interior design? 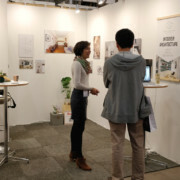 At the fair, you can find interior architect @emilie.lagrange with her own stand and time slots for personal consult at the Advice café ! 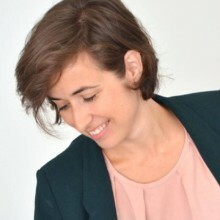 You can secure your spot for Emilie's advice online !" 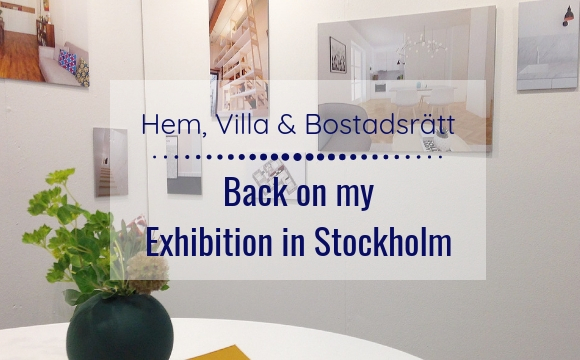 “Hem, Villa & Bostadsrätt” was the opportunity for me to make my big entrance on the swedish market. A new step in my business development. Indeed, after starting my company in Paris, France in 2014, I decided to move to Sweden in 2015, looking for nature and quiet lifestyle. 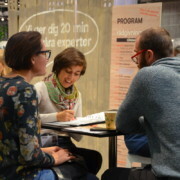 After 3 years living in the country and setting up my new life and business in Stockholm, the fair helped me to scale my interaction with the Swedish public in a significant proportion. During 4 days, “Hem, Villa & Bostadsrätt” gave me visibility and has been the place where great relationships started with both private individuals and companies, future clients and potential partners. All in english, swedish or french. 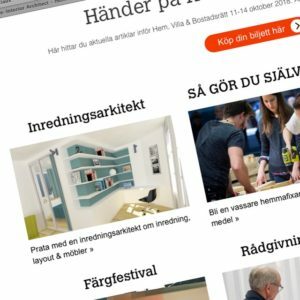 “Hem, Villa & Bostadsrätt” appeared to be my biggest marketing opportunity so far. Obviously from the number of visitors but also from all the communication I have benefited from. As first and only interior architect of the fair, and piquing people’s curiosity with my french and original story, I got featured on the event’s website and social medias. I have also been selected by the organisers to be one of the official advisors of “Hem, Villa & Bostadsrätt” 2018. As one of the chosen expert, I’ve offered 20 min free consult twice a day, helping the visitors with the layout and decoration of their project. Having my own stand in the huge hall of the Exhibition Center of Stockholm made me engage with visitors like nowhere else. Wondering about the activity of an interior architect or already having plans and pictures in hands to talk about their project, the public was positive, curious to know more, and even eager to give a try to some french words. An amazing experience also shared with the other exhibitors who visited the stand. Getting in touch and learning about each other activity. Creating contacts for future collaborations to bring new services to our customers. “Hem, Villa & Bostadsrätt” was the perfect display for both my own business but also for interior architecture in general. Talking with so many people helped give clarity about the activity of an interior architect compared to a decorator or an architect. Speaking volumes, walls, optimisation, space and enhancement through decoration, it has also been a good time to make the public realize how their project could benefit from interior architecture. 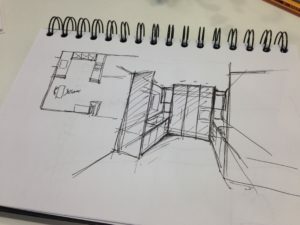 Kitchen layout, high ceiling spaces, creation of storage, compact living,… All these difficulties people were facing in their projects sounded easier to manage after knowing someone could give them the solution. Some projects even found their answer directly after our talk and few of my sketches, before knowing new development after the fair. Projects around Stockholm are joining online projects from France and new business network opportunities are showing up. "Hem, Villa & Bostadsrätt" clearly appears as the official launch of my activity as interior architect in Stockholm and I'm glad to see people are joining me in this adventure ! You are living in Sweden and are looking for help with your project? You are a company related to the field and want to plan a meeting for a future collaboration?